Cosplay TV-series are rare and the cosplay community holds its breath every time a new show is announced. But with Syfy’s new cosplay TV-show “Cosplay Melee”, cosplayers and fans alike are in for a hell of a good time! 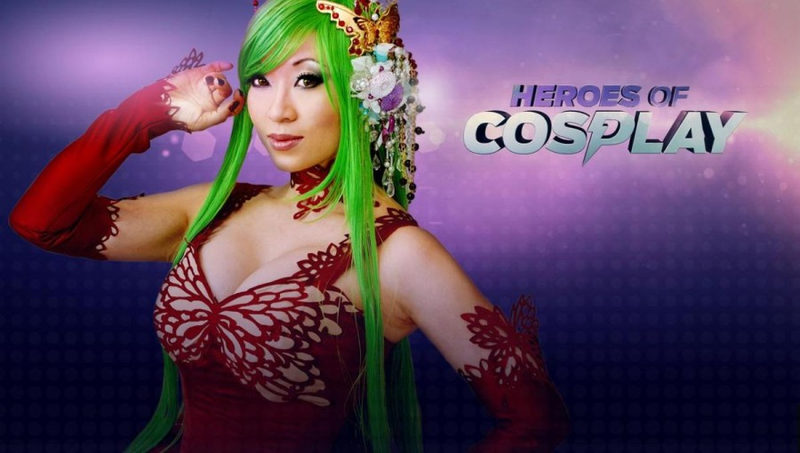 Back in 2013 Syfy already aired “Heroes of Cosplay”, a reality TV show following cosplayers as they traveled to various conventions. The show main focus was competition and well, drama. 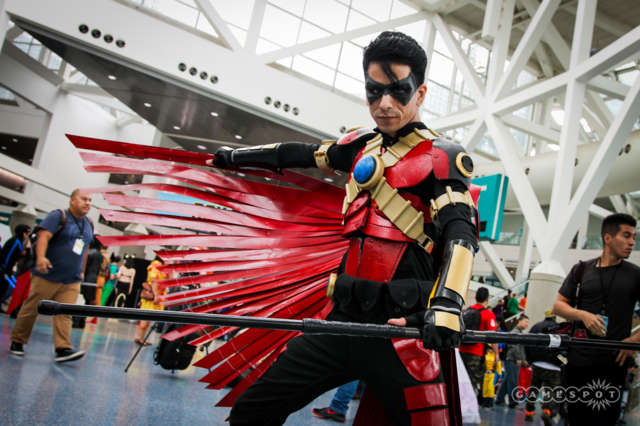 I have to admit I kind of enjoyed Heroes of Cosplay despite its many flaws, and was eagerly looking forward to seeing any fresh take on cosplay on TV. And I was not disappointed! Cosplay Melee is a contest in the style of “Face-off” with 4 contestants fighting through 2 rounds. They are given a theme (space operas, Game of Thrones, anime…) and are tasked with the construction of a prop in the first round, and a full costume in the second round. 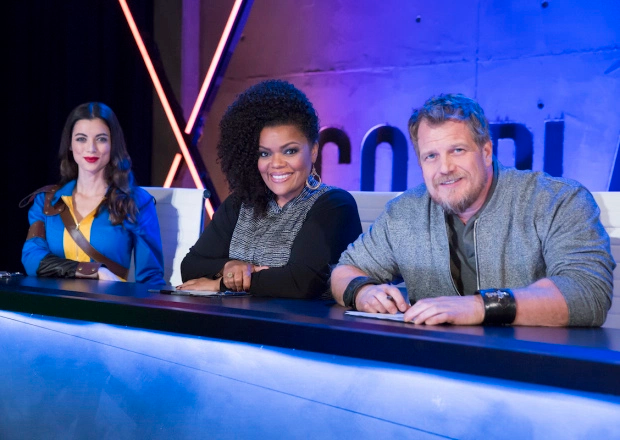 They are judged by pro cosplayer LeeAnna Vamp, costume creator Christian Beckman, and actress Yvette Nicole Brown - who is hosting the competition. Cosplay Melee got me hooked at the first episode and I enjoyed every minute of the show! It’s fast paced and surprisingly full of positive vibes, with likeable judges and talented contestants. I had the opportunity to learn more about Cosplay Melee by speaking with executive producer Ian Mallahan. Were you a fan of cosplay before working on the show? Before the show, I was a passive cosplay fan. I followed a few cosplayers on social media. I also live near Little Tokyo in Los Angeles where there’s a popular cosplay shop, some stores selling anime merch, and some really good food. That whole area gets taken over by cosplayers when a con is in town. It’s one of the best things about living in my neighborhood. How did you come up with the idea of a cosplay competition? The concept was developed collaboratively with SyFy. They really wanted to do a cosplay competition that showed how much skill and craft goes into making cosplays. Cosplayers’ skills are so varied and specialized that we thought the stand-alone episode format was a good way to fairly pair the contestants so you won’t see someone with incredible sewing skills getting stuck with a theme that lends itself to armor fabrication. It’s also a fun way to really dive in and explore unique skill sets and a theme for a whole episode. 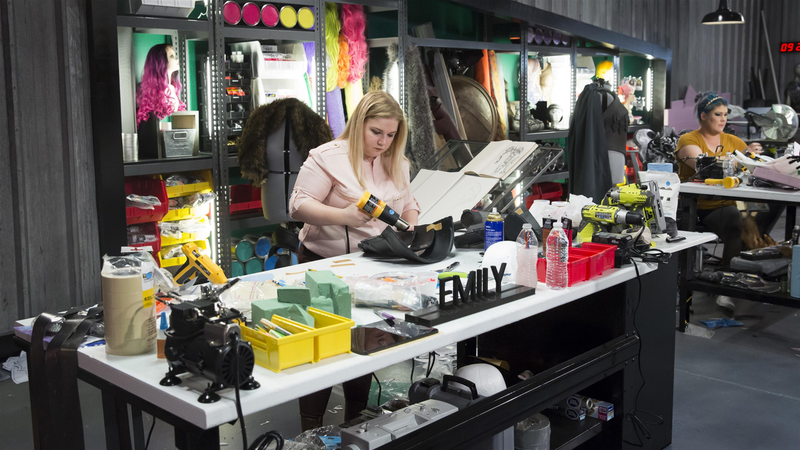 In each episode, 4 contestants have 1 day to create a specific prop. Then the weakest cosplayer is eliminated and the three remaining contestants have 2 more days to build a full costume. They work in a huge workshop and are given plenty of materials and tools. We can see the show gives the cosplayers enough time and means for them to really showcase their talents: was it something you were careful about? Anyone who knows cosplay knows that great cosplay is made over the course of weeks, even months — not hours and days. We wanted to create a situation where, if they rose to the challenge, the cosplayers themselves could become heroic — not unlike the characters they depict in their cosplays. Comic book heroes are made when someone overcomes great obstacles to achieve something great and after consulting with several cosplayers themselves, we determined that three days, with a workshop stocked full of tools and materials and the outside world completely shutout was doable… but it would be damn close. It was damn close every time. Each episode has a theme, and contestants can’t recreate an existing character costume: was it a deliberate choice or an intellectual property-related constraint? How does it influence contestants creativity? It was a deliberate choice. The themes we explore are the mythology of our times. Anime, comics, movies, and video games are loved almost universally, and cosplayers cosplay for various reasons but most start with the love of a character or a story, so it felt right to have the contestants create cosplays within the mythological framework of franchises like Game of Thrones, Guardians of the Galaxy, and Star Wars. 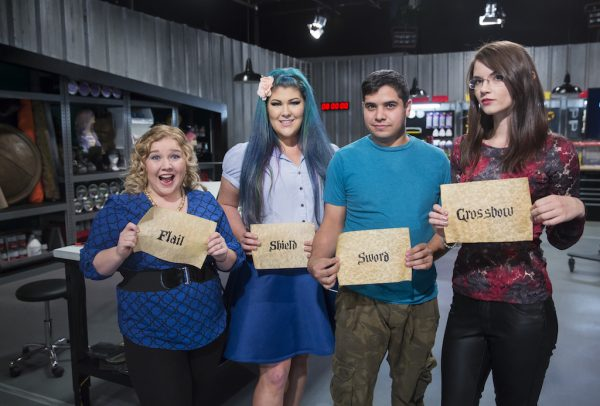 The decision to have the contestants create original characters was about pushing the cosplayers out of their creative comfort zones and pushing the creative envelope. The audience is familiar with the franchises and themes we explore and it gives them, along with the judges criteria by which to judge the finished cosplays. I also think it’s just more fun than seeing four people make four stormtroopers. It’s way more visually diverse and you learn a lot more about the cosplayers as they often insert aspects of their own lives into their characters’ back stories. If there is a season 2, would you like to work with specific companies for special episodes (eg Blizzard, Disney, DC comics…) ? I would just be happy with a season 2! Honestly, I would love to work with some of those companies. I think an Overwatch episode would be fun. Do you feel like the show is well received among the cosplay community? 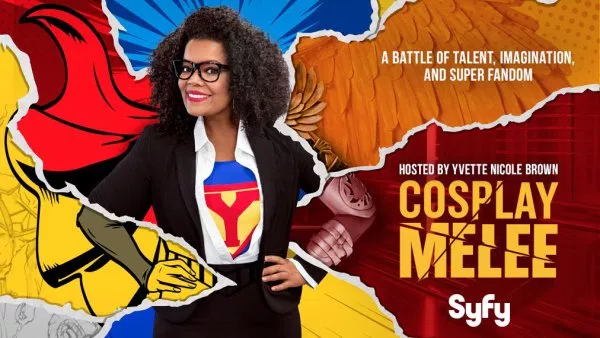 We know previous Syfy show ‘Heroes of Cosplay’ stired some controversy: did you try to be more careful about the way cosplayers were portrayed in Cosplay Melee? The show seems to be well received. The social media response has been overwhelmingly positive. I think there was a collective sigh of relief within the cosplay community after the first episode aired and they could see that the show is such a positive thing. I honestly have never seen Heroes of Cosplay. I was just focused on authenticity and making a competition that cosplayers would be proud to have participated in. 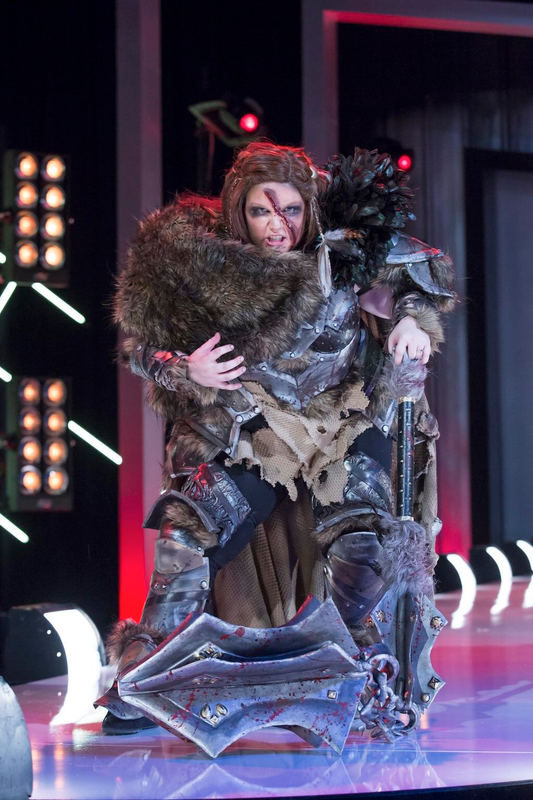 I really like the fact some of the contestants are not well known cosplayers. How did you cast the cosplayers for the show? Did you put the emphasis on talent rather than celebrity? The emphasis during casting was strictly talent but we were also looking for cosplayers who came at cosplay in a unique way putting their own twist on things, whether they were celebrity cosplayers or not. There’s no wrong way to cosplay and we wanted to show a lot of diversity in technique and overall aesthetic. Were you expecting such a high level in the competition given the strict guidelines and constraints the contestants had to follow? Is there one particular episode that blew your mind? When you set out to do something for the first time of course there’s a lot of uncertainty. I had a high expectation for the cosplays because I knew we had such talented people but I wasn’t expecting those cosplays to have such an emotional impact on me. When you’re there every step of the way and you see these people overcome so much to create something so special, it leaves an indelible mark. The anime episode, which is our season finale, really blew me away. Sewing skills are such a pillar of cosplay and it’s the first episode where sewing is heavily featured which is really exciting. More than anything the main event transformations in that episode are mind-blowingly complete. I’ve watched that episode over and over just because I can’t believe the same people who walked through the workshop blast door at the beginning of the episode are the same people who absolutely slay the runway by the end of it. It’s just unreal. Last Cosplay Melee episode will be aired 04/25 on Syfy. Fingers are crossed for a season 2.